Since moving to Iowa in 2013 we have tried to explore all of the events, restaurants, museums, and parks this beautiful state has to offer. Growing up on the East Coast, I never expected the Midwest to have so many activities. I always have heard about the “country” being boring but being a “city” kid myself, I must say there is a bunch of things to do and see, especially here in Iowa. 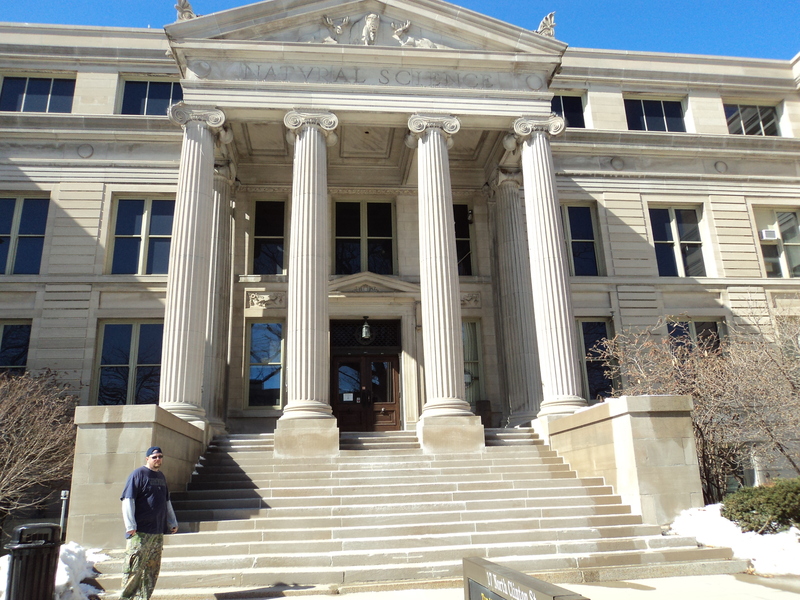 I plan on seeing everything and posting about my experiences as they happen and the most recent trip was to Iowa City to the Natural History Museum. 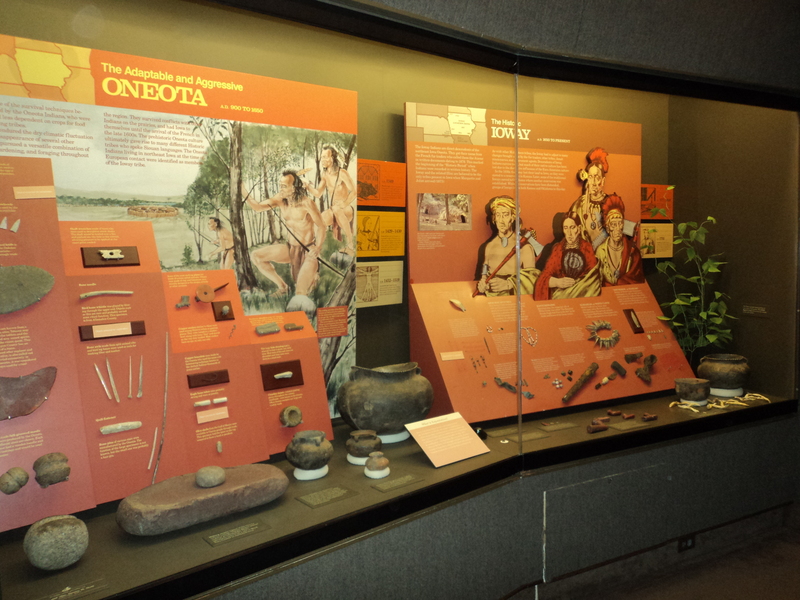 The admission is free and there is plenty to see which makes this a fun activity for the whole family. 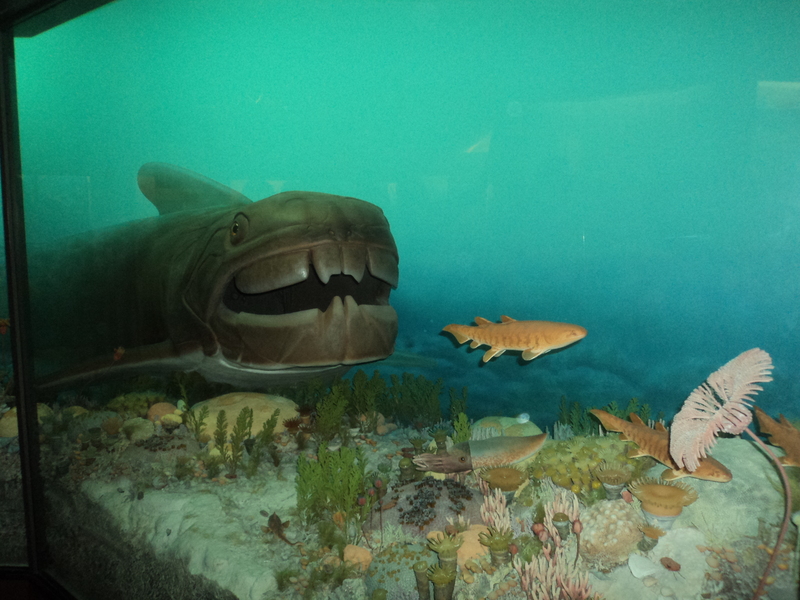 Throughout the museum you will get up close and personal with many animals and exhibits that celebrate the heritage of the area reaching back to the Ice Age and beyond. 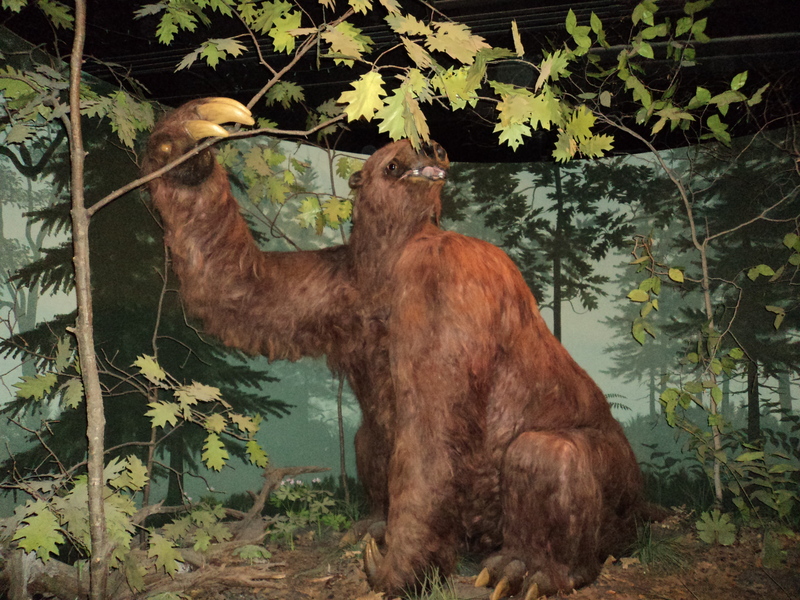 This sloth named Rusty is much like Sid the sloth made famous in the movie Ice Age except one big difference, Rusty is a Giant Sloth. This picture can not do it’s size justice, you will have to see this in person and trust me you will be in awe of it’s enormous size. 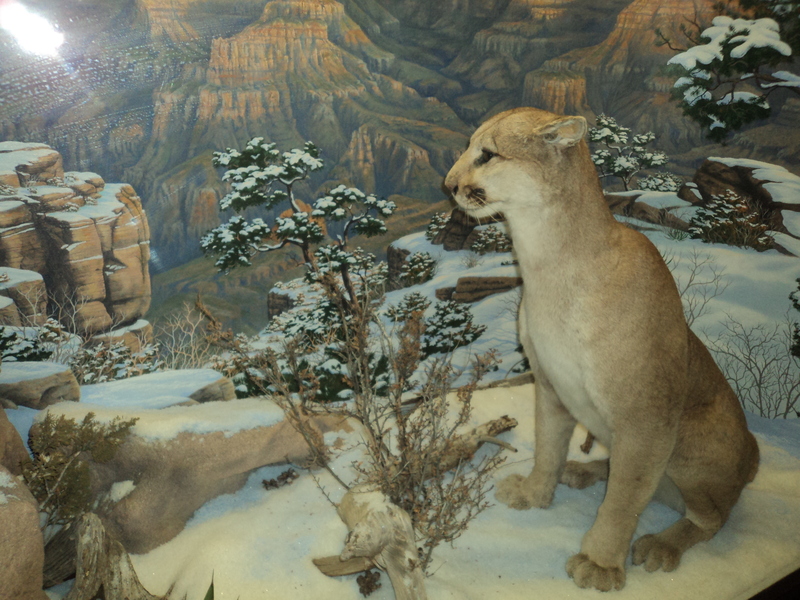 The diorama’s in the Natural History Museum in Iowa City are a favorite of mine. I love to try and spot the strings that hold up the creatures inside. We enjoyed learning about the different tools that the Native American’s used in their everyday tasks and how they built their homes. 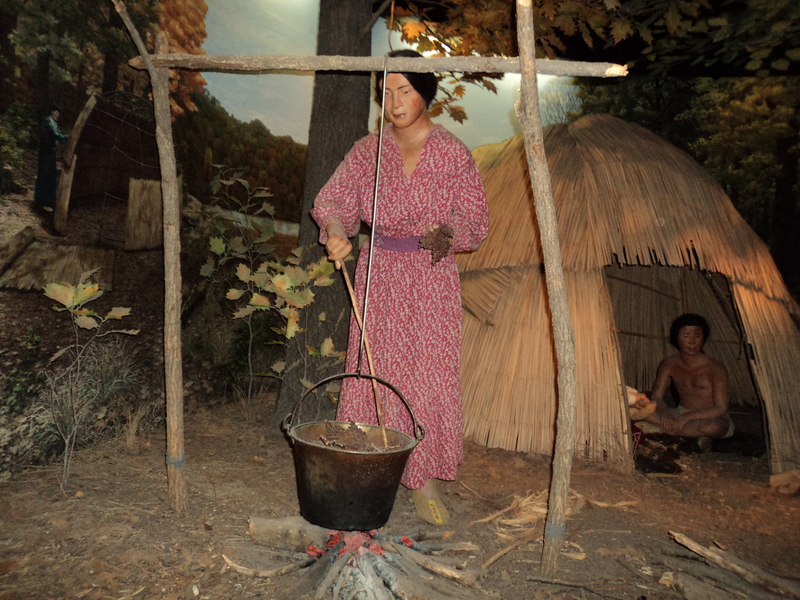 A lot of the exhibits look so real I had to do a double take on the kids in the tent, I thought they were real at first glance. I loved being able to see this mountain lion up close without the worry of it attacking me of course. Since moving to Iowa we have spotted a few of them but we wouldn’t dare get this close in any other setting. 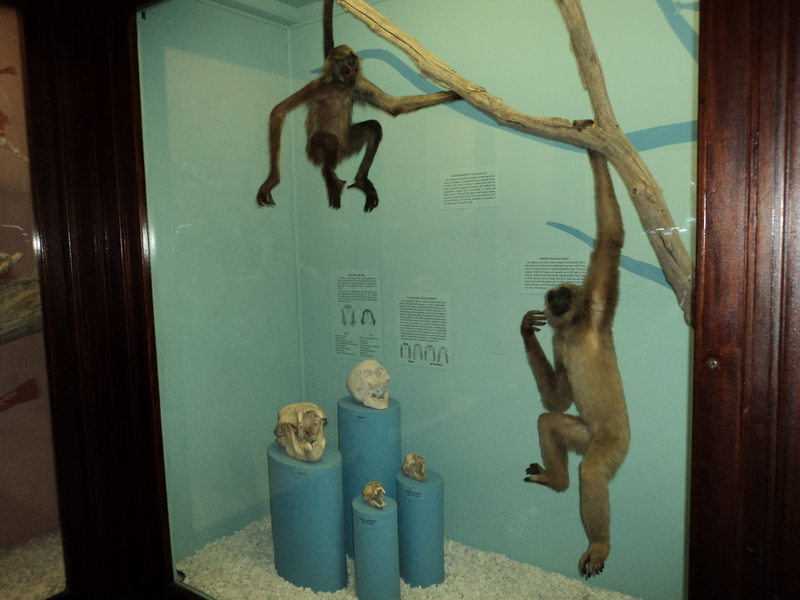 We loved all the monkeys and when we seen the Capuchin monkey I couldn’t help but think of the movie Night at the Museum and wonder if these fellas come to life at night. 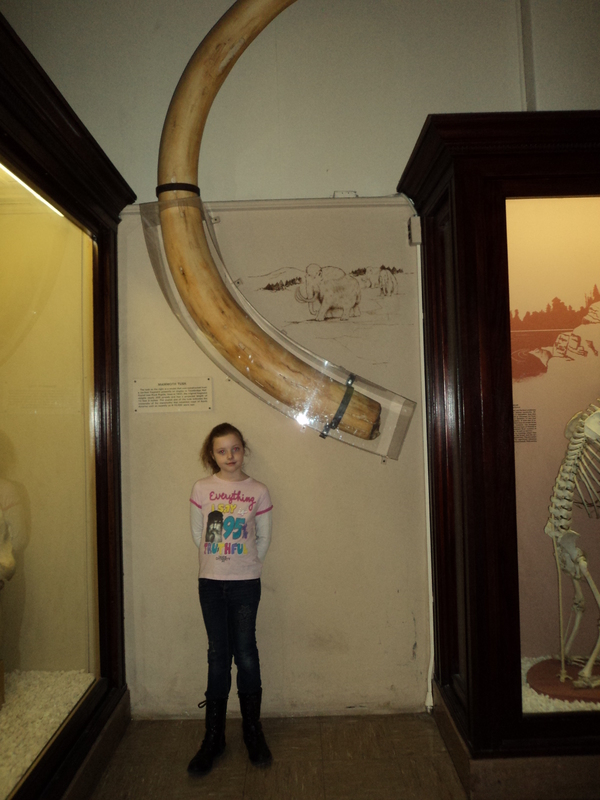 The Bird and Mammal Hall is my daughter’s favorite part, I love this photo of her posing in front of a mammoth tusk. 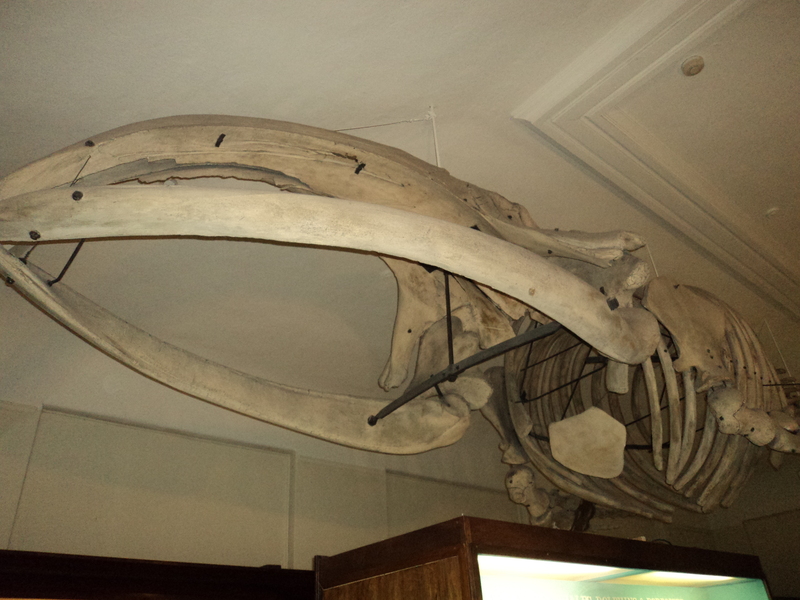 This photo shows only part of the Whale hanging from the ceiling because it is just so big and I couldn’t get a great angle but I had to post it. When I was a kid I visited a museum in N.Y. that has a whale hanging from the ceiling so being able to see this with my daughter made my day. 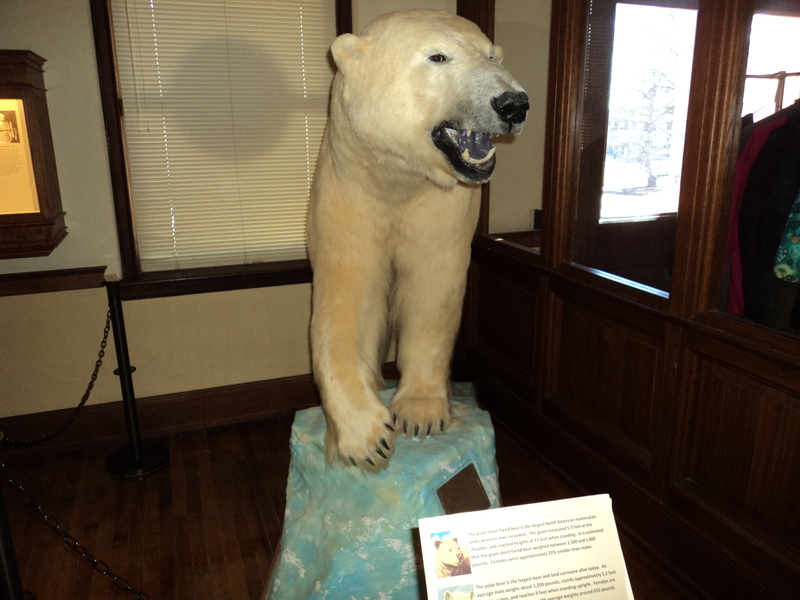 The Natural History Museum in Iowa City is 3 floors of fun and it’s free so be sure to visit soon. For more information about planning your trip click here to be redirected to their site.